It was 1976 and greatness was coming up everywhere. Apple computer was born, the first space shuttle was unveiled, the U.S. bicentennial was celebrated, and Triple H Foods Processors was founded. Thomas Harris Sr. had a vision for Triple H where his values for fairness and customer service continue through his family today. Thomas Harris Sr. was an icon in the food purchasing industry in Southern California and his reputation was stellar because of one simple trait – “he was honest as the day is long.” He was admired by his customers and his suppliers because he treated people fairly. After 28 years in the purchasing industry he decided to open up his own business with his two sons Thomas Harris Jr. and Richard Harris, and hence Triple H Foods was created. Triple H Foods started in a 6,500 square foot facility in Anaheim Hills in April of 1976, and the Harris reputation quickly earned business for the growing enterprise. Demand grew quickly and by 1978 two other offsite buildings were leased bringing the total square footage to 12000. The combination of the larger footprint and new equipment gave Triple H the ability to produce and pack juices as well as sauces. Soon after, the company was processing 1,000 cases a day. Customers continued to shift more and more of their business to Triple H Foods and even more capacity was quickly needed. In 1980, a 20,000 square foot facility in Corona was purchased and two new bottling lines were installed. With even more customer growth the company soon added another facility in Fontana which expanded its production and bottling capabilities to jams, jellies and apple sauce. Business was booming and customers continued to come to Triple H foods for bottling. By 1985 two more facilities totaling 35,000 square feet were leased in Corona and all of the plants was humming with activity. The first Kosher certification was achieved and news continued to spread of the company’s ever growing capabilities. As the company planned for future growth, the three Harris’ decided to take a huge leap and invest in their own new facility that would able to accommodate its customers’ growth for years to come. 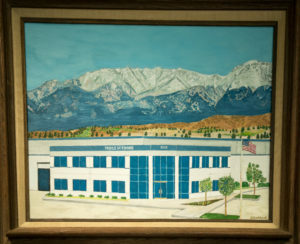 In 1987 the Harris’s purchased 9.8 acres of land in Riverside and in 1991 they completed the construction of new 65,000 square foot facility on this property. Growth continued and in 1998 the Harris’ yet again expanded capacity by building an addition to their Riverside location which roughly doubled the size to 132,000 square feet. In 1999 all of the other satellite locations were finally brought under one roof and four processing lines were running with drinks, sauces, jams, and syrups. Continued customer loyalty and a well-earned reputation for quality and honesty have allowed new opportunities to flourish. Their first Organic certification came in 1998, followed by BRC in 2012 and Halal certifications in 2017. In 2015 Triple H partnered with Alta Equity Partners, a private investment firm based in Boston, to form Triple H Food Processors LLC. The management and underlying food packaging business remained the same but this new legal entity enabled Triple H to bring in outside capital for the first time and ensure that it would have the financial resources to continue to accommodate the growth of its customers into the future. Today, Triple H Foods continues to operate from its 132,000 square foot facility and works with customers in all stages of business from infancy to National Brands. Companies have been able to deliver high quality products to their customers because of the care and professionalism put forth by the team at Triple H Foods. It’s hard to believe that it has been forty-two years since Tom Harris Sr. and his sons launched Triple H Foods from scratch. Our success during the time is built upon tremendous customers who value us as a long term partner. “The Harris Family” continues to run the facility on a day to day basis and it now includes Thomas Harris III who serves as COO and VP of Operations. They have not forgotten their father’s motto of “Honest as the day is long,” and they still strive to earn each customers trust when it comes to their business. Speak with us today about your processing needs!